We had a good laugh about how that trend had faded, at least a little bit. How wrong we were: shortly thereafter, the Netflix series came out, and it seems like everyone is talking about tidying once again. Kondo’s method is extreme, but it works. 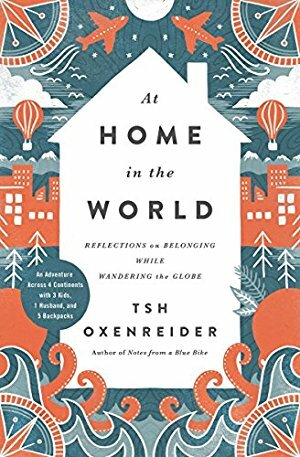 Her book caught me at the right time, just before a big move, and I appreciated her mix of whimsical inspiration and practical advice. She views tidying as a special event, not something you do every day. In fact, if you do the job completely, you won’t have to do it again. 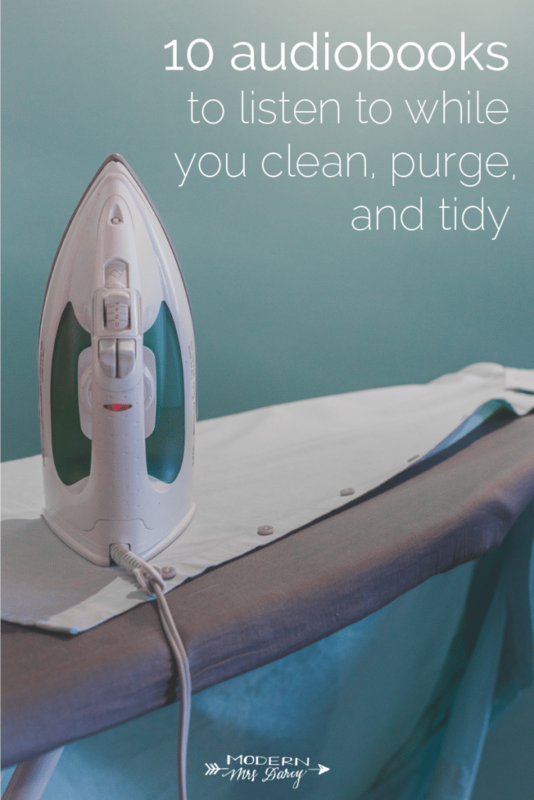 Her radical approach takes serious time, but there’s a bright side: just think of how much reading you can get done while you purge, clean, and tidy! 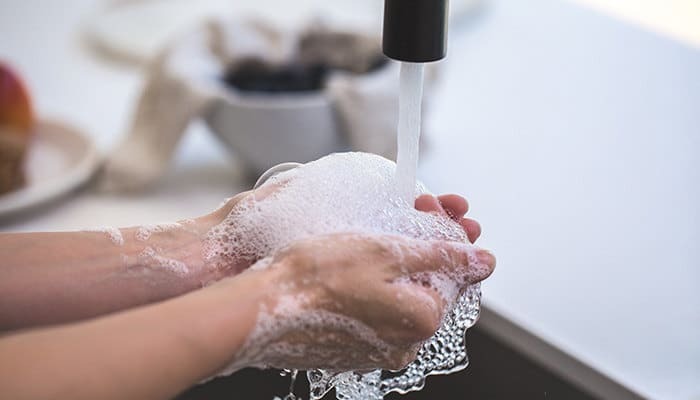 Even if you’re not tidying the Kondo way, or moving anytime soon, many of us are looking to make good on New Year’s Resolutions to get organized, or getting a jump on spring cleaning now that we have the Polar Vortex behind us. 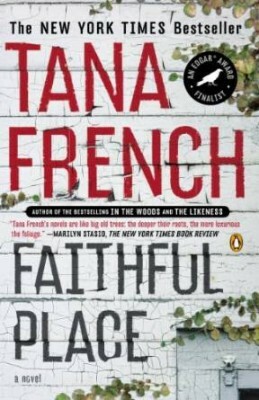 I always say the sign of a good audiobook is that I find myself eager to fold another load of laundry, put away every dish, wipe down the counters and maybe even the range hood. I keep working so I can keep listening. 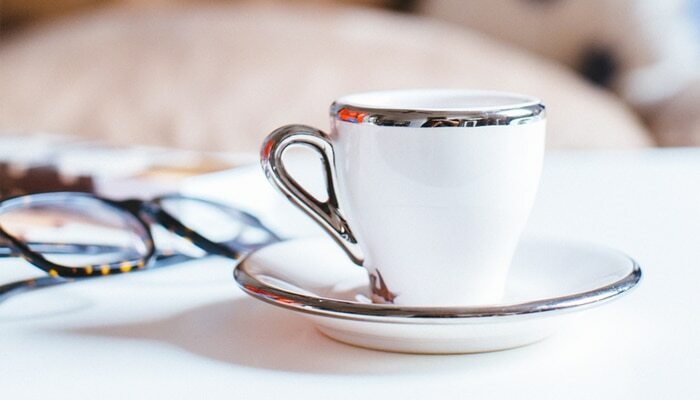 I’ll listen to anything while I work, but these ten audiobooks are particularly well-suited to the task at hand, providing entertainment and inspiration while you purge, clean, and tidy. Are you on a tidying kick? What do you listen to while you tidy, and what would you add to this list? P.S. More audiobooks to make the time fly, extra-long audiobooks to help you get the most out of your valuable credits, and a great podcast episode devoted entirely to audiobooks. The More of Less by Joshua Becker has been the kick-in-the-pants I’ve needed to get purging. I’m on my second listen-through and have been enjoying donating things we don’t really need to people who really do. I just listed to this one too! Great take on minimalism, as long as you don’t mind a bit of a Christian slant. I’ve recently been listening to Where’d You Go, Bernadette, which is narrated by Kathleen Wilhoite (whom I knew as Liz from Gilmore Girls), and it is so entertaining and well read. Can’t get enough! And it is going to be a movie soon!!! 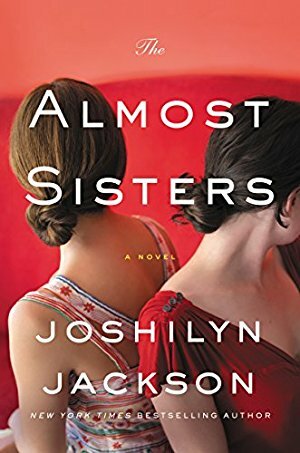 Kassie, I read the book and loved it, but two people I know listened to the audiobook first and both said it was confusing and they didn’t finish it, or couldn’t get into it. So I wondered. I just finished a re-read of that book today, and loved it all over again. I’m looking forward to the movie! I have really enjoyed “Decluttering at the Speed of Life” by Dana K White. I love listening to Rachel Hollis’ Girl Wash Your Face. Gets me pumped up to get it done!!!! Love this list! I am busy with podcasts and don’t seem to figure out how to add in audiobooks! I jumped on the “kondo” train and have been successfully tidying up my drawers, especially my workout clothes! Thank you for the suggestions however! Yes! I have such a backlog of podcasts I want to listen too, I don’t have time to add in audiobooks too! The Year of No Clutter by Eve O. Schaub has been very inspiring for me. I would LOVE to be able to listen to audiobooks but I just can’t seem to listen well. My mind wanders and I end up not knowing anything about what I just read. Does anyone else have this problem? Yes. Generally, I find non-fic to be more forgiving with regard to this. You can kind of zone in and out and not miss vital parts to a story. I also like light, beachy-type books too for the same reason. I feel like listening to audio books requires practice. The more you listen to them, the better you get. Good luck! Thank you! That makes a lot of sense. I haven’t given up yet! There’s too many books out there that I want to get through! Funny. 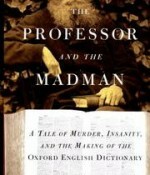 Non-fiction is the hardest for me to listen to unless it is a biography with a lot of action. I find if my mind wanders in fiction I can generally figure out what I missed or decide that what I missed wasn’t important. I agree with you about non fiction being easier to listen to. I especially enjoy biographies and memoirs. I find that audiobooks can be great ways to re-read — I enjoy experiencing a familiar story again, and if my mind wanders for a bit, I’m not totally lost. This is a great idea! Thanks for the tip! Yep, same problem here. I can really only listen to an audiobook if it’s a book I’ve read before and *really* remember. That way when I inevitably zone out and tune back in, I still know what’s going on. Yes is was like that for me at first. My husband loved listening to audiobooks while working or driving and tried for the longest time to get me into it. My mind would wander and nothing would stick. It really is something you get better at and I’m so glad …I’m good at it now ! Water for Elephants was the book that did it for me . Now I actually listen to more books than I read. I work alone in painting or cleaning jobs and my grandchildren are a three hour drive away. I’ve listened to hundreds of books. Another plus for me is that my work is physical and I have a lot of aches and pains. Listening while I work takes my mind off my pain and the time flies. “…I end up not knowing anything about what I just read.” Typo here – I end up not knowing anything about what I just heard. Essentialism: The Disciplined Pursuit of Less by Greg McKeown. My daughter and I are listening to The Girl Who Drank the Moon together. She’s almost done with Code Girls: Young Readers Edition. I always listen to my backlog of podcasts while clean/garden/drive etc. My family had great success with the “Organizing Solutions for People with ADHD: Tips and Tools to Help You Take Charge of Your Life and Get Organized” which I think you recommended. My husband has ADD, and this book really helped us get the kitchen (his domain) cleaned out and much more functional for everyone. However, it had really great practical tips for anyone that’s busy and needs a system that is easy to manage. I need to pick it up again to tackle the office. 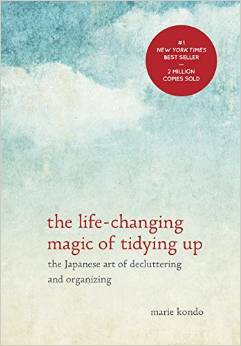 This is a fantastic book if you’re looking for ADD organizing. Lisa Woodruff is very knowledgeable, down to earth, practical and is your great cheerleader. She’s great on the audiobook version! Here are 2 books and a link to her podcast and website if that interests you. I love Lisa! Hope it helps. I listened to Jen Hatmaker’s “7: An Experimental Mutiny Against Excess” while cleaning out my house. It focuses on our attachment to worldly goods and has a “just-enough” Christian perspective. It made me laugh out loud and think about my possessions as I moved through my house! Anne, could you please send me the name of the comfy boots that you wore in Scotland? The Gentle Art of Swedish Death Cleaning was a big inspiration to me. It isn’t very long, but her gentle approach and the narrator’s calm voice motivated me to get rid of a tremendous amount of things out of my garage. Now that I’m thinking about it, I might listen to it again! I’m going to respectfully disagree on listening to something while you purge, since purging requires decision-making and therefore concentration. In my experience, the less distraction you have, the more effective and faster the purge will be. I’ve been experimenting with less distraction in general (NY resolution: more silence). Also, I don’t naturally put things away. So when I get home, I tell myself “no distraction until everything is put away”. This has made a big improvement in things not lying around, and doesn’t take much time. For repetitive tasks like cleaning the kitchen, I definitely like distraction, such as the podcast By the Book. It’s goofy yet thoughtful and informative girlfriend fun. I am also a fan of By the Book. It has made my walks lots more fun! Nina, I agree with you! I couldn’t possibly purge and pay attention to an audiobook. Only with mindless tasks like painting walls or scrubbing or driving a familiar route. One of the best books I read (it’s also available to listen to through Audible) was _Stuff: Compulsive Hoarding and the Meaning of Things_ by Randy O. Frost and Gail Steketee. My mother was not a hoarder, per se, but she was certainly “on the spectrum” if such a thing exists. She loved a clean house but was completely incapable of keeping one, getting lost in the minutiae of her stuff and unable to deal with it effectively. Had she not had a housekeeper for many years, it would have been worse. After she died, I had a 4 bedroom house with every closet full, a full attic, a full two car garage, and a full storage building out back. It was a nightmare. I will NOT do that to my children and grandchildren. This book was not a “gawk at the hoarders” book. It was a real investigation into what things MEAN to people who find themselves unable to deal. Compassionate and eye-opening. Worth the read. Thanks for sharing that recommendation. A lot of reality shows really bother me because they feel almost voyeuristic (in that they seem to enjoy seeing others’ pain). I have a family member who can’t pull the house together and it is a huge source of shame for her, so I’d love to read something with a compassionate take on the subject. Listening to cleaning while cleaning would not excite me (or maybe distract me from my own priorities). Lightly voiced, young YA is the best – pace and tension, esp. – for keeping up the mojo while cleaning, doing lawn work, and even running. ‘Turtles All the Way Down’ (John Green) and ‘Cress’ (Marissa Meyer) are 2 recent wins. I’ve been listening to the Harry Potter series while I tackle my Room of Doom project (the room where I put everything I didn’t know what to do with since I moved into the my house). ANNE, It seems to take me so long to read your blog, but I look forward to it every time it comes. What I realized today is that I love your followers and the comments that they make and not only read them all, I have to take notes on the books they recommend as well. I have read more books since I have been following you than I have in years, I forgot how much I enjoyed reading! Thank you for reminding me! I like audiobooks for when I am driving alone. 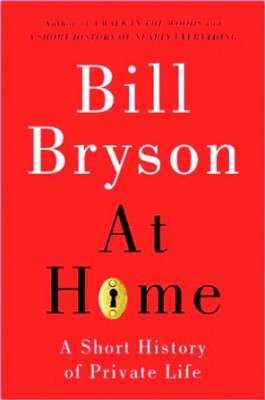 But for some reason I cannot seem to get into fiction or memoirs; for that reason Bill Brysons book sound so interesting. I have read coming clean and highly recommend it. 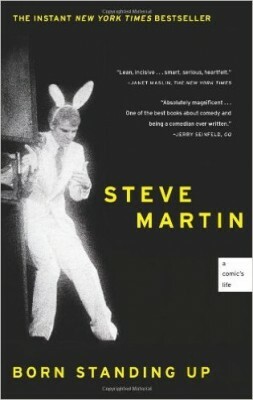 Both Steve Martin’s book and Maid are on my TBR list, maybe I’ll try the audio versions. Leanne, Bill Bryson’s book IS so interesting, I highly recommend it!! I’m currently inspired to move the stuck energy that comes with clutter as I listen to Clear Your Clutter with Feng Shui by Karen Kingston (audiobook 2012 edition). 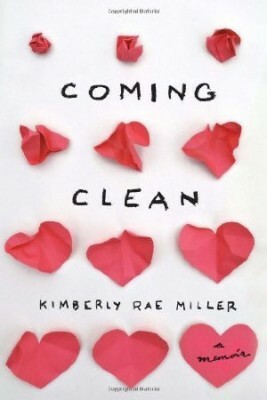 I really enjoyed Coming Clean by Kimberly Rae Miller and would like to listen to it again. Other favourites (in addition to Marie Kondo’s books) include Enough Already! and It’s All Too Much by Peter Walsh, Eat That Frog! 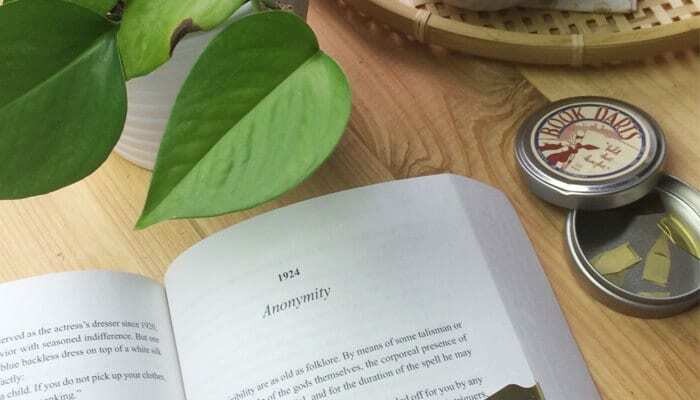 by Brian Tracy, The Joy of Less by Francine Jay, Organizing from the Inside Out and SHED Your Stuff, Change Your Life by Julie Morgenstern, Stuffology 101 by Brenda Avadian and Eric Riddle, Unstuff Your Life! by Andrew J Mellen, A Year to Clear and Your Spacious Self by Stephanie Bennett Vogt. I should stop now… but it’s all so motivating! ? Mrs Polifax is a favorite of mine. Simple. Clean. And light. I’ve listened to a few audiobooks, but prefer to do my reading with real books. I don’t own a Kindle for the same reason, though I recognize that they would be great for traveling, and for those who don’t have the room for a lot of books. But I want a book I can hold in my hands. I suppose that makes me a Luddite! When I’m cleaning I prefer to listen to music, or write things in my head. Regarding de-cluttering, I agree with the respondent who said she needed to keep her wits about her for that. Deciding what to keep and what to purge requires thought, and listening to audio books or music with lyrics would be a distraction for me. I was finally diagnosed with ADD in my late 50’s – wow! everything I do and have trouble doing makes much more sense now! And, unfortunately pack-rat syndrome (if there isn’t such a thing there should be!) is found in both my family and my husband’s family. So we have a lot of Stuff of our own, and a lot of Stuff we’ve inherited, and trying to come to a consensus on what to discard is too often well-nigh impossible. “That was my mother’s!” “My Dad made those!” “We might need that someday!” You get the picture. I’ve read The Complete Idiot’s Guide to Organizing Your Life, Throw Out 50 Things, Clutter Control Room by Room, Spiritual Housecleaning, most of Marie Kondo. I spent a beautiful summer afternoon a few years ago folding my cotton shirts the Marie Kondo Way, only to discover several days later that my shirts had more wrinkles than ever before folded into them. Three adults, two cats, 21 plants, and several thousand books (a steadily rising number) live in my cramped little house. Abandon hope all ye who enter here? I don’t quite understand why, but even though I love audiobooks and proselytize about them constantly, I never seem to *actually* listen to them. I’m a podcast fanatic, and that’s what I listen to while I’m cleaning, walking, shopping, eating, napping, and doing any other task that doesn’t require my ears. The problem with podcasts is that there is ALWAYS.SOMETHING.NEW. so even though I tell myself “Oh, I’ll just binge listen to all of these, and once I’m done, *then* I’ll start an audiobook”, it never ends. Gah! I love listening to Happier podcasts with Gretchen Rubin and Liz Craft. Grethen is author of The Happiness Project and several related books. Soon to be released is Outer Order/Inner Calm, which should be a great listening material while cleaning. 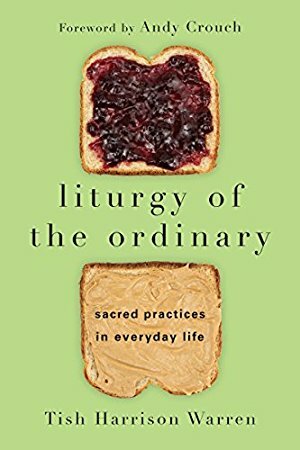 Tattoos on the Heart by Gregory Boyle (nonfiction); Ordinary Grace by William Kent Kreuger; An Altar in the World by Barbara Brown Taylor are all excellent listens. Provided lots of tidying time! While refinishing the wood floors in my grandparents’ house I listened to James Herriot’s books about his veterinary practice in England and always associate those stories with that experience! Two books I’ve listened to recently while cleaning (we’ve been having lots of building work done) are 1) Eleanor Oliphant is Completely Fine, which I LOVED, didn’t know much about the book, just knew I’d seen it around a lot, and I’m glad I listened to the audio version as the narrator did a fantastic job. The time sped by. And 2) Decluttering at the Speed of Life by Dana White – I really appreciate her approach as the Konmarie method does not work at all for me (it might when I don’t have 5 young kids around!). I loved Born Standing Up, it definitely kept me cleaning so I could listen! Also recommend any of Gretchen Rubin’s audiobooks, especiallu Better Than Before. The Happiness Project is better to read in print. This is a wonderful post. It is exactly what I am looking for. 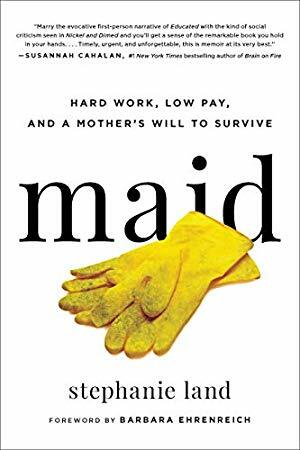 I have read both Coming Clean and Maid and thought they were both fantastic. Both women were in very different situations, but I found them both to be incredibly resilient.